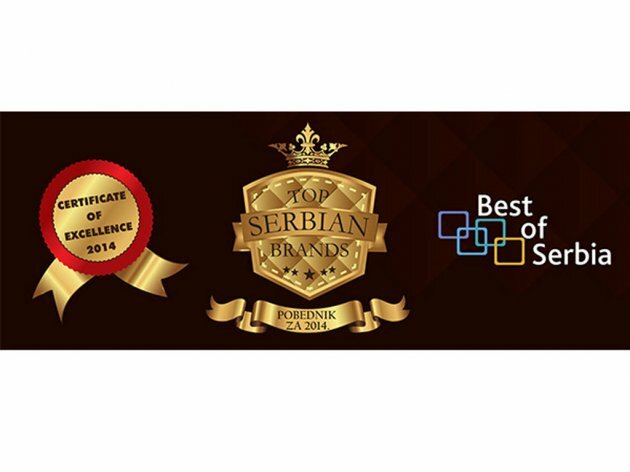 In the organization of www.bestofserbia.rs and exclusive magazine "Top Serbian brands" which is published in cooperation with the Serbian Chamber of Commerce and SIEPA agency, winners in 56 categories were published in traditional and prestigious "Top Serbian brands – winner for 2014", organizers announced. As it was announced, this prestigious award is delivered on the basis of votes of citizens of Serbia and on the basis of an independent poll conducted December 7-14, 2014 on a sample of 3076 adult citizens of Serbia. The main terms for award winners are: brand recognition, top quality, consumer satisfaction, excellence, business results. The companies will have the opportunity to outline prestigious "Top Serbian brand" logo in the next year.